We are deeply grateful for the support of our generous donors who make many of our our programs and initiatives for Yale’s students, staff and faculty possible. Contributions of any amount are welcome at any time. 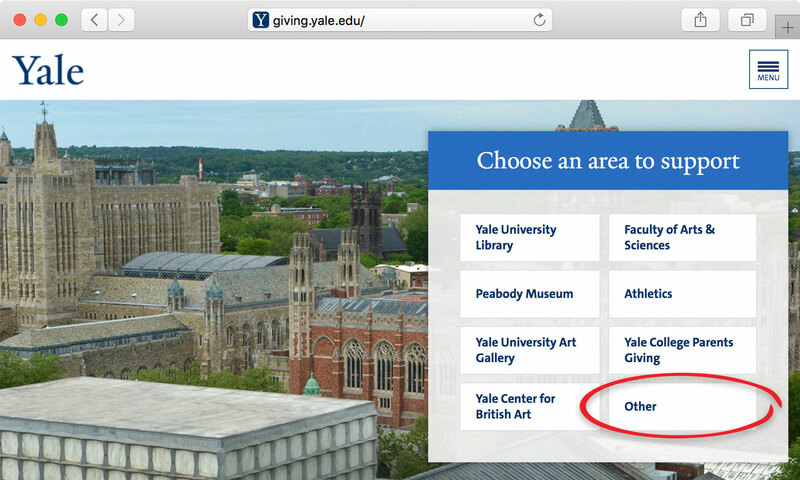 There are several ways to give to the Yale University Office of LGBTQ Resources: online, by phone, by mail and by wire transfer. Be sure to include the code ‘19470 LGBTQ Resource General Support’ to indicate that you would like your gift to support the Office of LGBTQ Resources, and don’t forget to check if your employer matches charitable donations! Please don’t hesitate to contact us with any questions about giving and how gifts help us serve Yale’s diverse LGBTQ+ community! 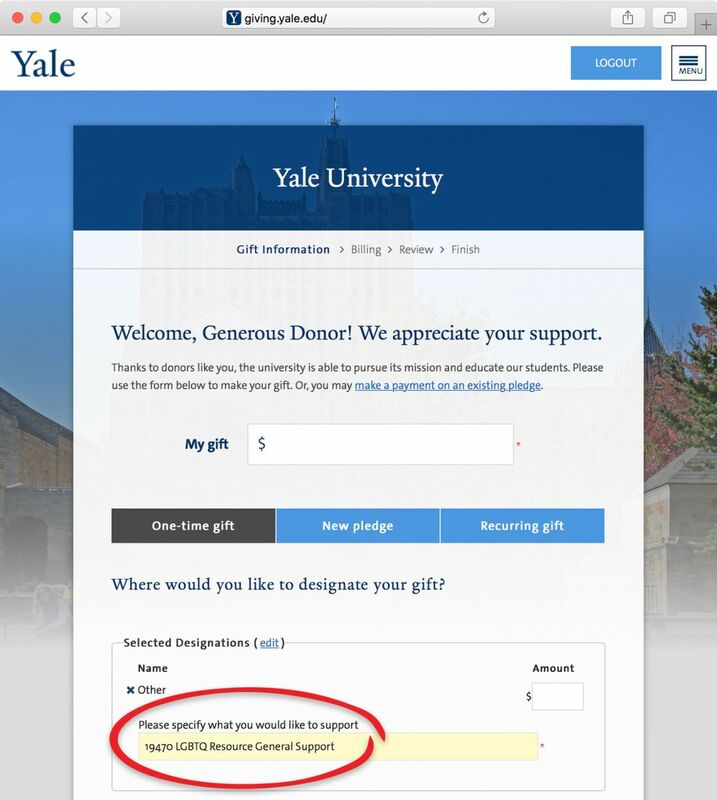 You can make a gift via credit card or wire transfer online at the Giving to Yale portal, following the steps described below. 1. 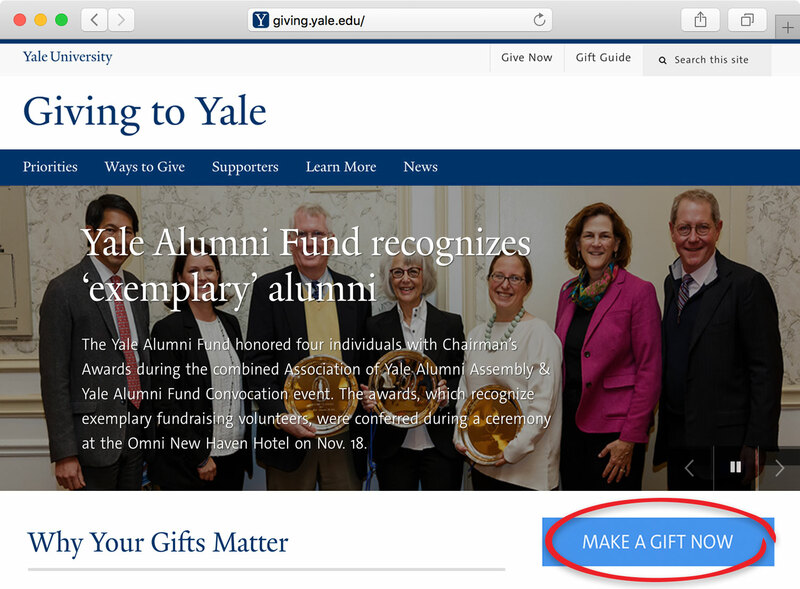 Visit the Giving to Yale portal (giving.yale.edu) and select ‘Make a Gift Now’. 2. 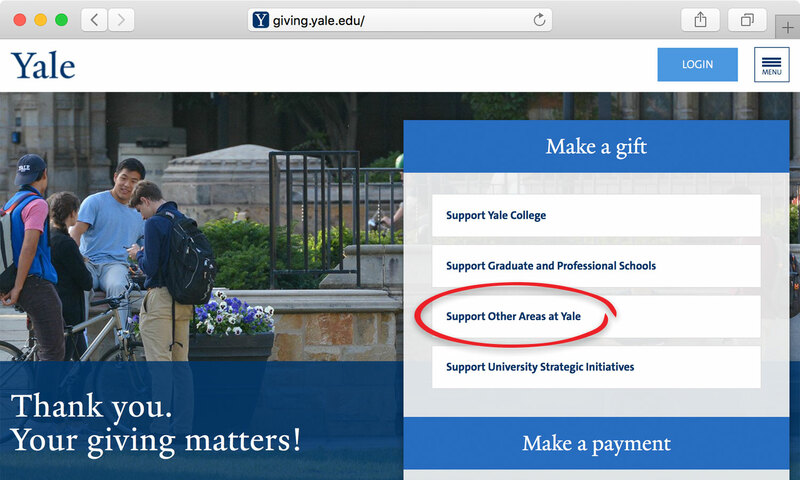 On the next page, select ‘Support Other Areas at Yale’ from the ‘Make a Gift’ menu. 3. On the next page, select ‘Other’ from options listed under ‘Choose an area to support’. 4. Finally, enter ‘19470 LGBTQ Resource General Support’ when prompted to ‘specify what you would like to support’. Contact Yale Development +1 (800) 395-7646 to make a contribution by phone, and specify that you would like your contribution be directed to ‘19470 LGBTQ Resource General Support’. To make a donation via cash wire transfer, please visit Give Now or call 203.432.4107. Specify that your contribution should be directed to ‘19470 LGBTQ Resource General Support’. Many companies will double your contribution with a matching gift. To find out if your company has a matching gift policy, visit matchinggifts.com/yale/.